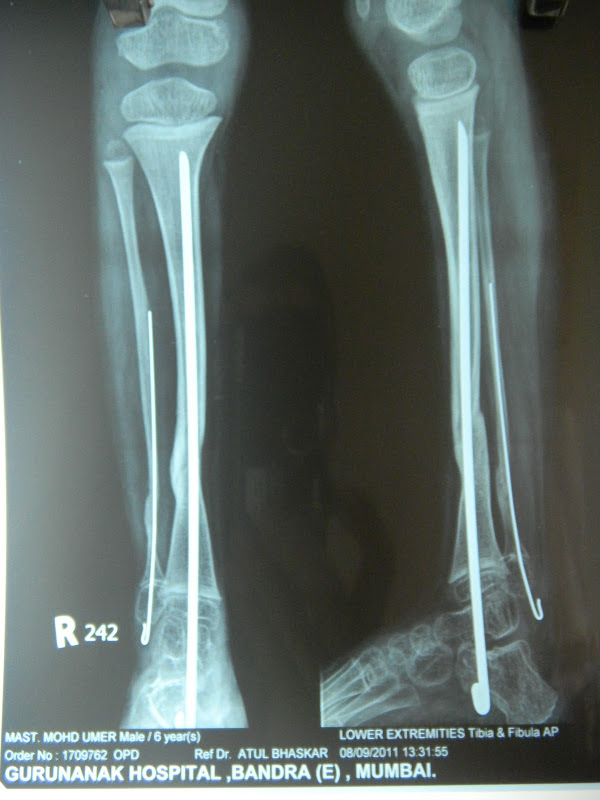 Two year old child with a painless non-union of distal tibia. Any lesion at this site in an infant should raise suspicion of CPT. 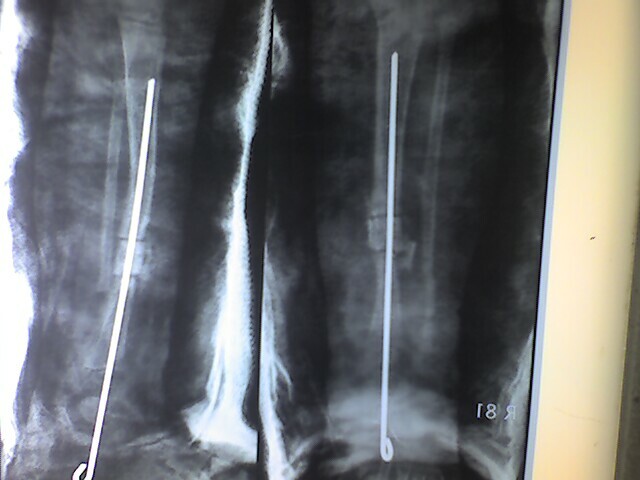 The lesion was excised and bone grafting with intra-medullary rodding carried out to stabilize the non-union. Final union at 18 months after index surgery. 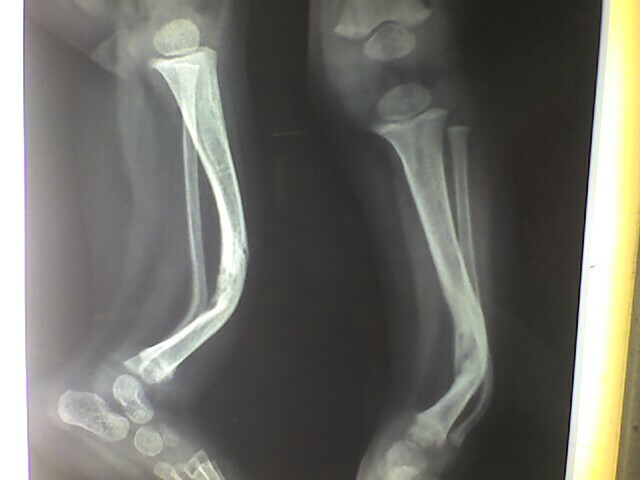 Healing of non-union can take up to 2 years and there is high risk of recurrence until skeletal maturity. 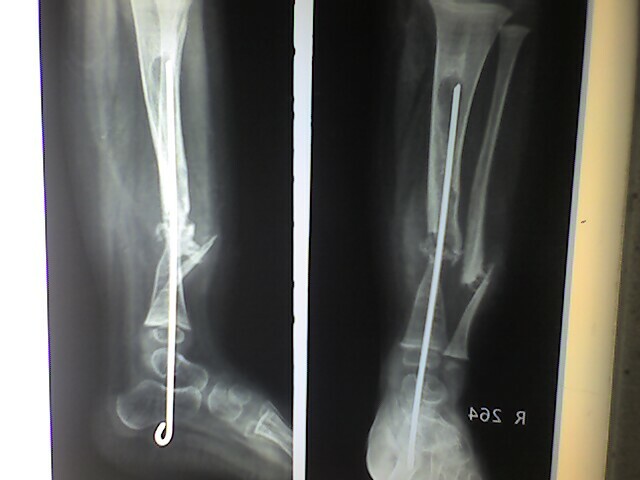 Nine-month-old child with cystic type of lesion in the tibia and fibula. Biopsy showed a fibrous type of CPT. 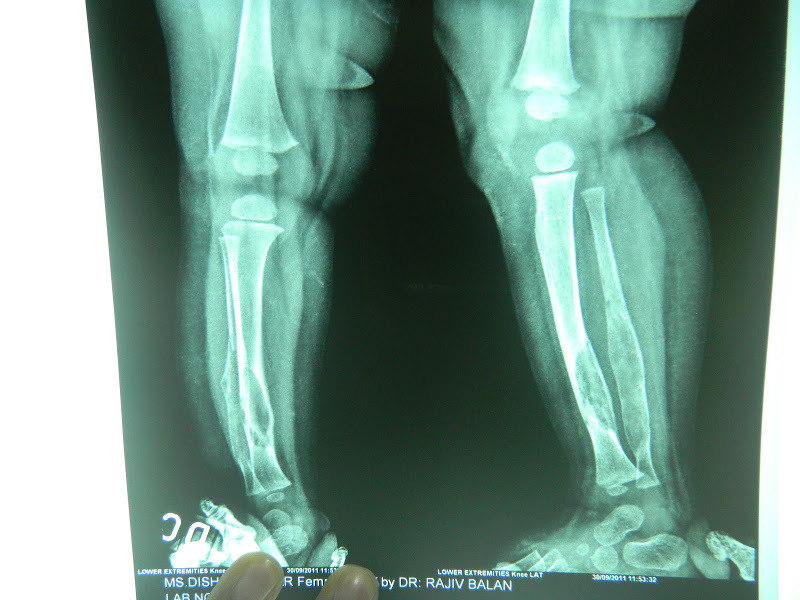 Clinical photograph of 3-year-old child with antero-lateral bowing of the tibia. This is characteristic deformity in CPT.